Israel has ignored a United Nations resolution demanding it halt settlement building in the occupied Palestinian territory that was criticized by the Trump administration, the UN Middle East envoy said Friday. Although the UN Security Council resolution passed December 23 demanded that Israel immediately cease all settlement activities, "no such steps have been taken," envoy Nickolay Mladenov said in his first report to the council since the resolution was adopted. 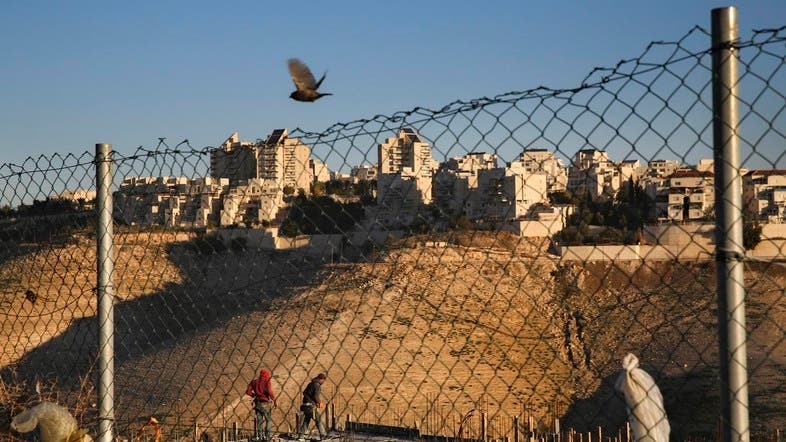 "The January spike in illegal settlement announcements by Israel is deeply concerning," he said. In January, Israel made five announcements on settlement building that together totaled more than 6,000 homes in the occupied West Bank and annexed east Jerusalem. In early February, Israel declared its intention to build what would be, according to anti-settlement group Peace Now, the first new settlement by an Israel government since 1992. Mladenov also expressed concern about the Israeli parliament's approval of a new settlement law on February 6 that retroactively legalizes dozens of Jewish outposts and thousands of settler homes built on private Palestinian land in the occupied West Bank. The new law will allow Israel to legally seize Palestinian private land on which Israelis built without knowing it was private property or because the state allowed them to do so. Mladenov said the law represents a major change in Israel's position on the question of legality in the Palestinian occupied territories. The Middle East envoy's report came before the 15-nation Security Council held a closed-door session to discuss the Israeli-Palestinian conflict. Under the new administration, the United States, one of the five veto-wielding council members and a long-time Israel supporter, has pledged to back Israel more than Donald Trump's predecessor Barack Obama. As president-elect, Trump in late December assailed Obama's outgoing administration for abstaining in the December 23 council vote on a UN resolution reprimanding Israel over its settlement activity. By declining to use its veto, the US enabled the adoption of the first UN resolution since 1979 to condemn Israel over its settlement policy. The Obama administration justified its decision by citing frustration with Israel's attitude on settlement building. The newly installed Trump administration in late January signaled that Israel did not have a blank check from America on settlement building. And Trump sowed confusion in mid-February in seeming to distance Washington from the two-state solution -- the creation of a Palestinian state that coexists with Israel -- that has been supported by the international community for years.